Boost your car’s audio performance with a custom car stereo installation. Customize your car or truck with off-road car accessories, such as LED auto lighting and new tires. We can make your truck work harder for you with ladder racks, iron rod bumpers and running board installations. Schedule a window tinting service to receive quality work and a lifetime warranty. If you want your car, truck or SUV to look better and perform better, you can rely on Aftermath Custom Auto for the best in car accessories and customization options. We’re a family owned and operated custom auto shop that opened in February of 2017. Our team has over two decades of industry experience. We specialize in car customizations in Yakima, WA. Call today to tell us about your ideas, and we’ll get to work customizing your ride. When it comes to car customization, anything goes as long as it fits your budget. Stop by today to talk with us about your vision for your car or truck, and we’ll show you how we can make it a reality. Call now to receive a free estimate on your car customization service in Yakima, WA. Our window tinting service and many of our LED auto lighting installations come with a lifetime warranty. When you drive off in your customized vehicle, you can also leave with peace of mind. 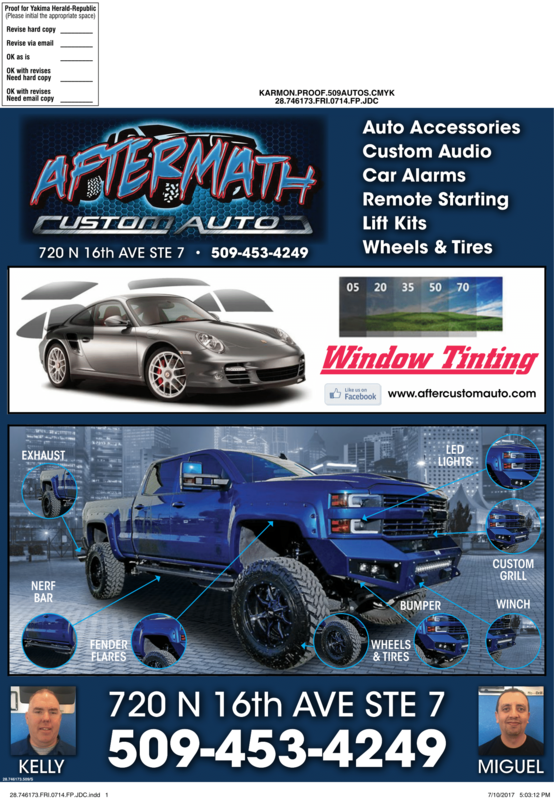 Contact Aftermath Custom Auto today to talk with us about your car customization service.